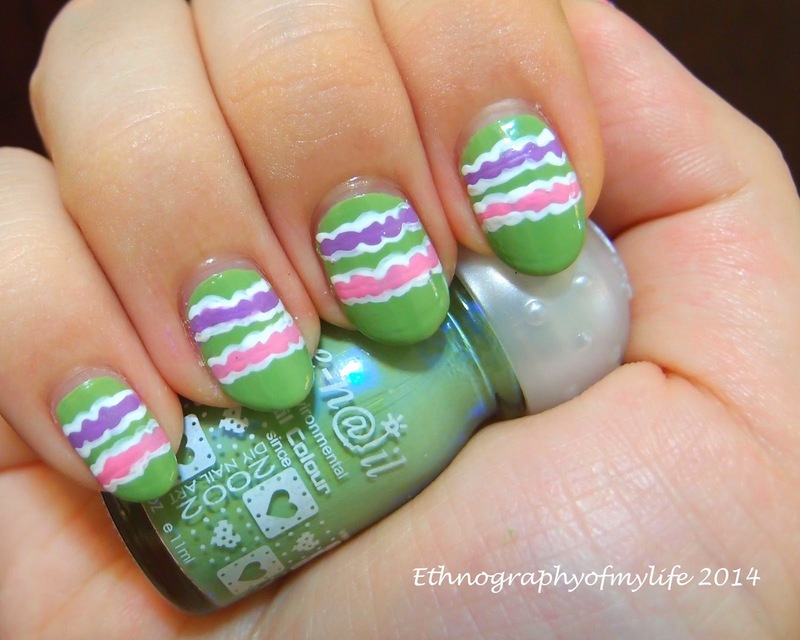 I really like this design, but a lot of people told me it's more for Easter? How's the summer for everyone? I didn't go out a lot so far, I was super busy with the school and the weather was burning in Taiwan. 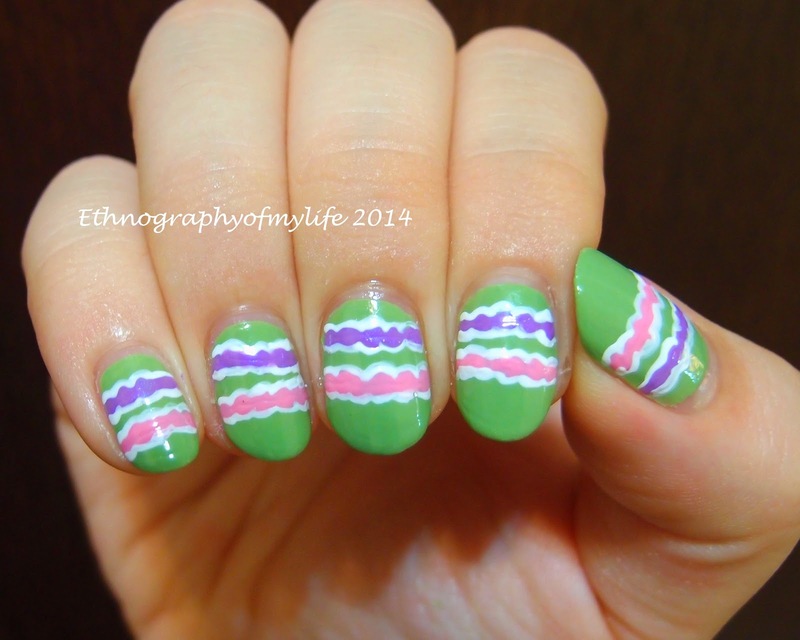 Today I have a Easter-like manicure to share. I like the color combination and this design is very elegant and charming. Excuse my cuticles, I couldn't take care them during the busy school season. I think I done a very good job on the ribbons and I really love this result with that grass color base. What do you think about it? let me know!